Why Hire a Franklin County CDL Attorney ? If you are facing traffic tickets as a commercial driver’s license holder, you face more serious consequences than the average driver. As a CDL holder, your professional driving skills are held to the highest standards. The CDL is your livelihood and not only do you need to be concerned about your driving record, but also your employer’s traffic ticket policies, your employer’s insurance, and your own insurance rates. Contact a Franklin County CDL lawyer. Though simply paying the ticket may seem like an easy answer, it may not be your best long-term strategy. Because CDL holders are held to a higher standard, penalties for a guilty plea (just paying the ticket) can have a serious impact on your ability to continue earning a living with your commercial driver’s license. Remember, this applies whether you are driving your commercial vehicle or your private vehicle. As an example of those higher standards for commercial drivers, for a non-CDL holder, the blood alcohol content (BAC) needed to show driving under the influence is .08; but for a CDL holder, the level is half that at .04 percent BAC if you are driving a commercial vehicle at the time. The court communicates Ohio traffic convictions directly to the Ohio Bureau of Motor Vehicles (BMV). If you have a conviction in another state, you are obliged to report that yourself to the Ohio BMV within 10 days or face a misdemeanor charge for not reporting. The BMV assesses points to your commercial driver’s license and can impose a disqualification period based on your conviction. A skilled and experienced Franklin County CDL attorney may be able to get your charges reduced or eliminated entirely. This makes hiring a Ohio CDL attorney an important part of your long-term career success as a professional driver. 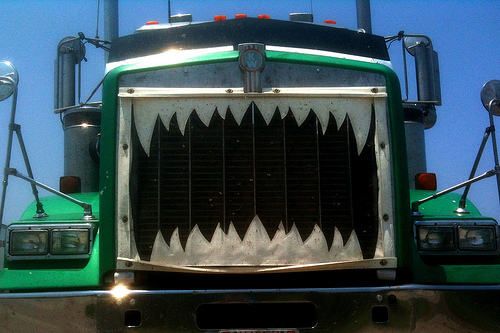 We all know of scenarios like “speed traps,” that are set up to catch CDL operators. With an experienced Ohio CDL attorney at your side, you can challenge the state’s evidence on issues such as radar gun or laser calibration, and officer’s training on the use of that radar gun or laser, and other points of the law necessary to prove the case against you. If you have been charged with any moving violation, do not just accept it by paying the ticket. Get the help you need to protect your professional life and livelihood. Do you need an Ohio Commercial Driver’s License Attorney? If you have a commercial driver’s license and are facing a traffic ticket or other charge, don’t face this alone. You need the representation of a skilled, experienced Franklin County CDL attorney who can help you mitigate or avoid any negative marks on your driving record so you can continue to pursue your chosen profession without fear of interruption. The Maher Law Firm can help make sure that your rights are protected. Founding attorney, Colin Maher is an experienced, skilled Franklin County CDL attorney and can help find strategies to protect your career as a professional driver. Call The Maher Law Firm today for a free consultation at 614-205-2208 or contact us online.